As someone who lived and worked in Durban for four years I can’t wait to head down to the new Food Corner in Brixton Station Road and try out Bunnychow’s version of Durbs’ famous bread ‘n curry treat. Their photos show a more upmarket version certainly but I am sure the gorgeous curry sauce-melting-into-the-bread effect will be the same. Will the curries be as hot as some of the Durban delicacies? I’ll have to wait and find out – and try and find room for some of the other goodies on offer. Brixton Station Road Community Market is bringing five new hot food traders to offer lunch time specials for around a fiver. Aside from Bunnychow there will be Pangea, offering a wide variety of street foods, Bare Bone Cue with slow, pulled pork, Hanoi Kitchen with Vietnamese dishes and Woodbox Pizza. All of them sound delicious so I expect to be buffeted around a bit while queuing. 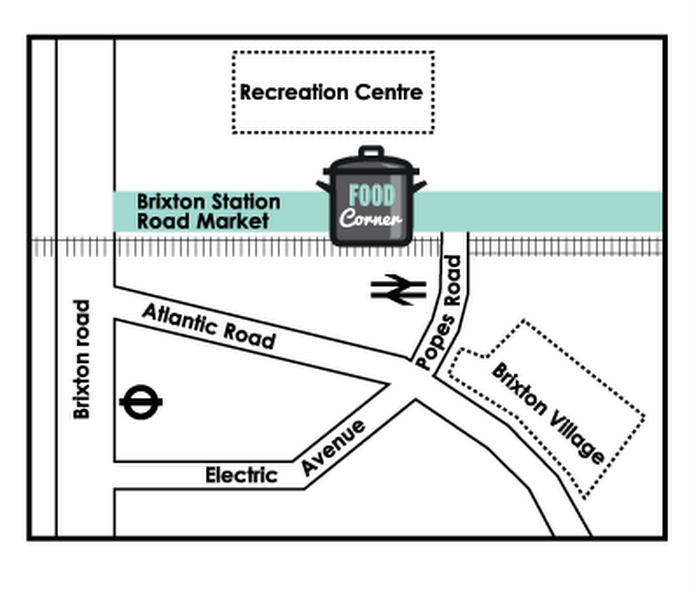 Tomorrow’s opening market will be running from 11.30am to 2.30pm, on the corner of Brixton Station Road and Pope’s Road. Usual operating hours will be from Monday to Friday, 10am to 5pm and BMFT (Brixton Market Traders’ Federation) is aiming to develop the local market economy on week days. Important news for local workers is that the BMFT will be offering a 10% discount to all Lambeth Council, Veolia Environmental Services, Police Station and Rec Centre staff who visit the Food Corner and show their badge/identification. So what do they say about the five food stalls? The original urban Durban street food lands in the UK and debuts in Brixton. Little loafs hollowed out and crammed full of big global flavours. Big helpings of flavourful chicken, mutton, beef & vegetables all coated in bold delicious sauces served in award winning artisan little loafs. 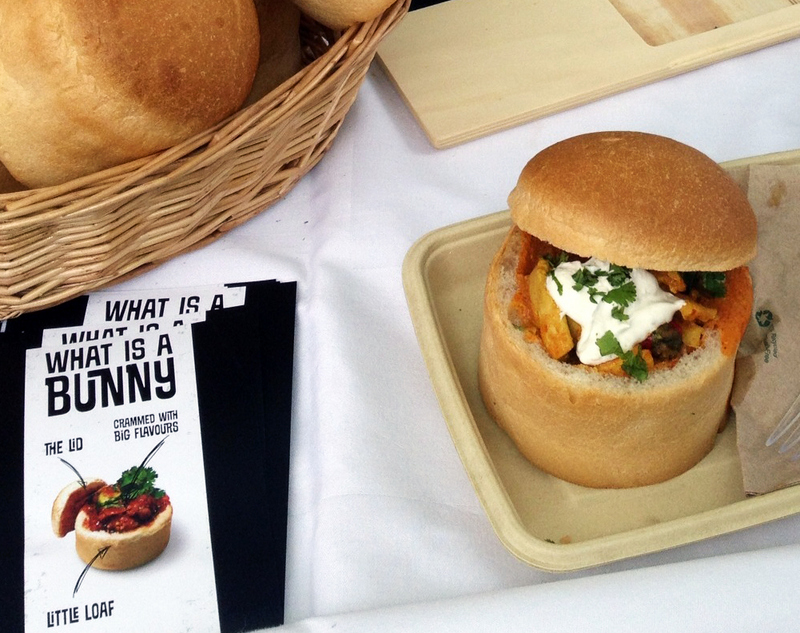 Be one of the first to try the legendary bunnychow! Street flavours from every corner of the world, regularly changing the menu, adapting to seasons and creativity. Rice meals, burgers, grills, kebab, and a wide range of vegetarian options and salads. 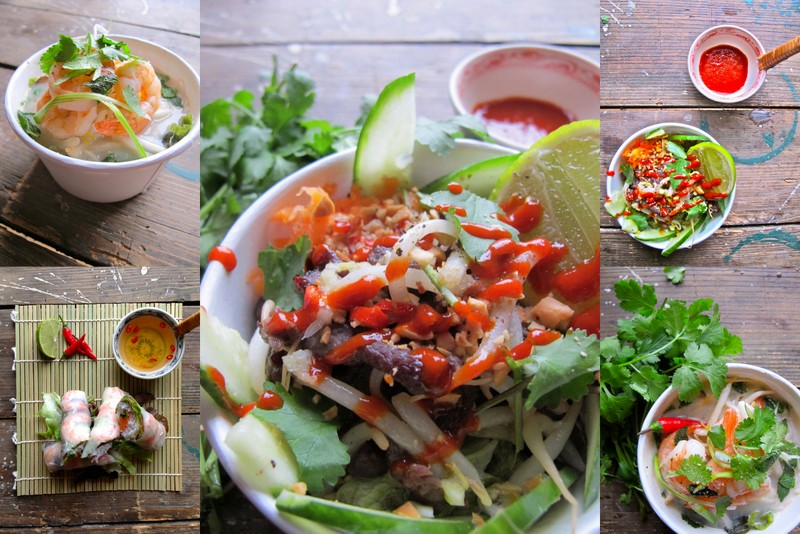 Vietnamese hot pots, spring and summer rolls, and vermicelli noodles with a choice of beef, pork, prawn and vegetarian. Woodbox offers sourdough ‘street’ pizzas similar to the ones found all over Naples& the surrounding area & beloved by Neapolitans. They make them in front of customers in a wood fired oven from the freshest, ingredients we can find. The sourdough pizza is made from a traditional recipe, freshly prepared and proved for 24 hours. Their ingredients are sourced from quality British producers. Categories: Arts, Community, Eating & Drinking, Events, Food Corner Market Brixton, Shopping | Tags: Brixton Market, food, Food Corner Market, foodie heaven | Permalink. 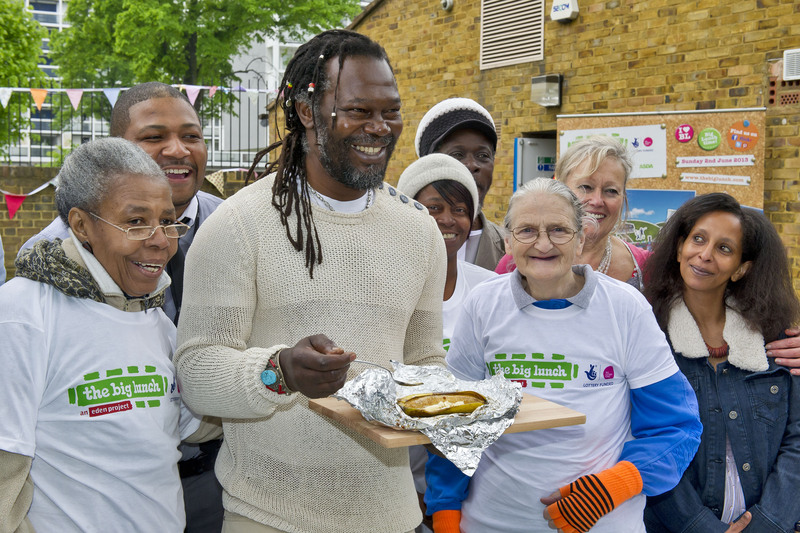 Yesterday I got to see Levi Roots in action at the Marcus Lipton Centre. The consummate entertainer and chef demonstrated how to BBQ, grill or bake five recipes at a cost of £5 each for the Loughborough Junction Big Lunchers who are holding our BIG LUNCH on Sunday 2 June on the corner of Loughborough and Barrington Road. First he had to ‘de-bling’ all his rings – luckily he’d organised for a ‘bling bowl’ to be on the table. And then straight into the recipes and a few stories along the way. After all as Levi said, cooking in the Caribbean is all about being social, having fun and chatting, listening to music while the BBQ splutters in the background and the sun shines. We had a lovely British grey sky but were soon enjoying the banter and after his trademark ‘Lord a mercy’ Levi launched into his recipes. Hot cheesy potato skins went down a treat with the local ‘tasters’ and the prebaked (20 mins) and scooped out potato skins were filled with chopped spring onions (scallion) and thyme and then drizzled with olive oil and baked at Gas Mark 6 till brown on the outside – and then they were filled with the ‘magic’ Reggae Reggae sauce and topped with cheese before being bunged back in the oven till the cheese had melted. Serve with a dollop of sour cream and an optional pinch of sea salt on top. Carnival food got a look in too – with corn on the cob – but whereas most Caribbean cooks put the whole corn, leaves and all on the BBQ, these were de-skinned and pre-boiled on the stove. You put them on the BBQ with salt and oil and serve it once it’s got that BBQ tinge with flavoured butter. (Levi suggests premaking the flavoured butter and keeping in the fridge – you add spring onion and garlic to softened butter and then wrap it up in wax paper ready to cut when needed). Delicious. To add some spirituality to the mix we got an I-tal dish – vegan and made from local produce. You need flakes of thyme, 2 big tomatoes (from your garden or Brixton Market) sliced in 3 thick slices and chopped up garlic with a bit of chilli. First toast brown bread with the crusts cut off and then rub the pieces with a slice of garlic. Mix the thyme, garlic and chilli in a bowl with olive oil and then pour mixture onto the tomatoes before grilling toms until they are brown. Press into the pieces of toast and then cut up – superb. Then a dish that Levi said he’s added to his repertoire ‘because Halloumi cheese is not typically Caribbean’. Halloumi and melon wrap. You cut up pieces of sweet melon or watermelon or even mango and put them into a bowl, then add some chopped mint and red onions and pieces of cucumber. (Levi’s tip is to de-seed even the cucumber or it gets into the teeth especially of elderly relatives). Then add chopped up chilli (with seeds for hotter) and cover with the juice of a lime. For the Halloumi, you can cut pieces and BBQ straight onto grid or place the pieces on tinfoil, which Levi prefers. After it’s ready you place the combo into wraps (or roti) and cut up or eat whole. Wonderful food and a great vibe. For pudding: bananas. Slit them along their skins the natural way from top to bottom and then cover the banana inside with a mix of yummy muscovado sugar, softened butter and vanilla extract mashed up together. Then whip them onto the BBQ. Optional extras are nutmeg and a tot of rum! You stick them on the BBQ for about 20 mins until the sugar seeps around the banana and serve the hot insides with a dollop of cream. BOOM and it is ready, as Levi says. The Big Lunch is funded by the Big Lottery Fund and led by the Eden Project and aims to encourage us to reach out to our neighbours, chat and eat together. This year’s event will be based around a carnival theme so keep your eyes and ears open and let’s get in the mood! 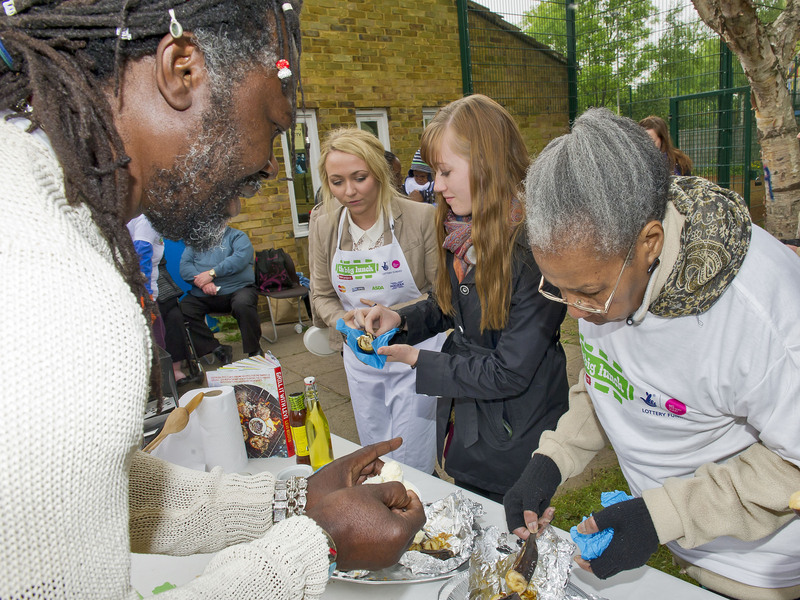 Categories: Community, Eating & Drinking, Events, The L J Action Group | Tags: Big Lunch, carnival food, chopped spring onions, Community, corn on the cob, food, Levi Roots, potato skins | Permalink. An issue that is worrying a lot of LJ residents is the over-abundance of fast food outlets – selling cheap, unhealthy meals – which often attract children. 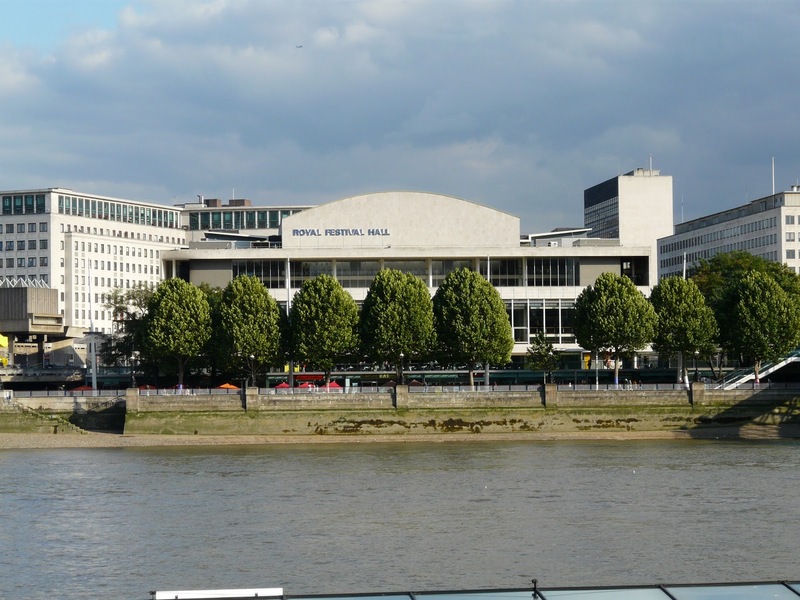 Two planning applications before Lambeth Council at the moment have especially caused comments. The one is for the site next to the Hero of Switzerland Pub on Loughborough Road and the other is for the site on the corner of Coldharbour Lane and Flaxman Road. Both have been proposed as sites for chicken takeaways. We have a lot of takeaway joints already and not many shops selling healthy fruit and veg, healthy meals or even aspirational shops providing jobs or fun affordable clothes or funky fashions. Anthea Massey co-chair of the Loughborough Junction Group points out in her well-written piece for belowtheriver.co.uk, that the group has researched the issue and found “seven existing takeaways within a two-minute walk of the two proposed new ventures”. And borough-wide the picture is even more depressing with Lambeth hosting some 91 and 173 fast food takeaways for every 100,000 residents, which is one of the highest ratios in the country. So it’s a big issue! BUT I wonder what alternatives there are at the moment as recession bites into families’ incomes? You can get a fairly big bucket of chicken for a small amount of money … when you are strapped for time and money it’s an answer. 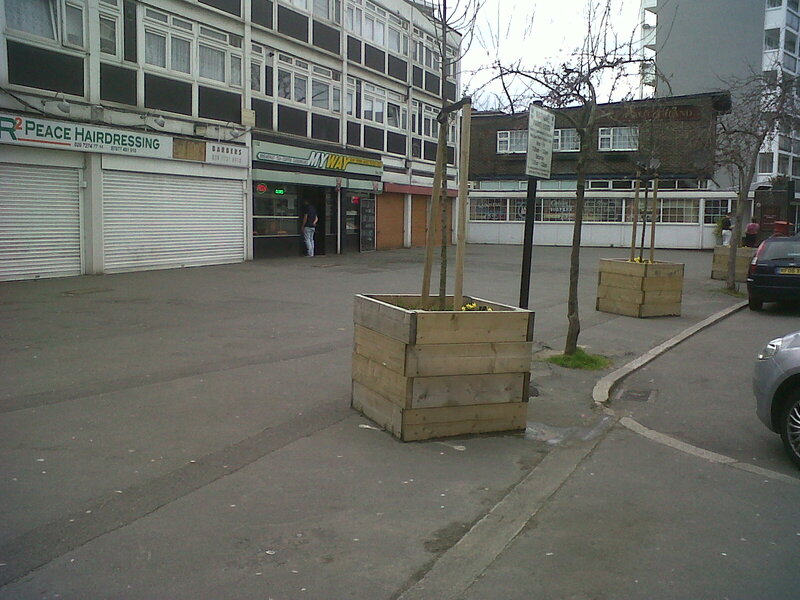 Some of the objections lodged with the council veer towards the patronising – with worries that locals won’t be able to see past the new venue and walk the extra few metres to the veggie shop or Tesco (a whole other debate) for fruit, veg and other goodies. There is support for a proposal to stop any new takeaways being approved within 400 metres of a school in Lambeth’s new Local Plan, which is out for consultation. Again I agree in principle but again it’s more complex than it seems as many of the new proposed businesses are franchise-owned takeaways, often the cheapest way for people to get into the food industry and start their business. Perhaps we are fighting this issue too narrowly. While people in our areas are struggling with bills, frozen benefits and rising food prices we can’t afford to be too high-minded. And Save Our School Food Standards! makes another valid point – banning takeaways from nearby schools will be an exercise in futility if Michael Gove’s academies are not subject to the same mandatory nutritional standards as state schools. The School Food Trust’s 2012 survey of academies found nine out of every ten surveyed were “selling at least one of the snack foods high in sugar, salt or fat that had been banned from vending machines in other state schools”. While the government refuses to apply the standards to all schools – including academies and free schools – a chicken takeaway or two might be rather beside the point? There are excellent community projects in and around LJ already for instance Myatt’s Fields Park is growing fruit and veg in its community garden and holds cooking classes. Categories: Community, Development, Eating & Drinking, The L J Action Group | Tags: chicken takeaways, coldharbour lane, food, impovement | Permalink. The Little Cat Café will open on Saturday 31st March, but closed for Good Friday and Easter Sunday and if you’re in the mood for fresh hot cross buns you should head to the park on Saturday. This week’s take away menu is a choice of slow-cooked lamb massaman, chicken yellow curry, stir fried veg and vegetable red curry. 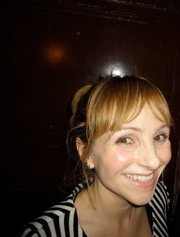 Myatt’s Fields Park Development/education officer Victoria Sherwin suggests you book ahead for your food – due to the reduced opening hours – so please text Monique on 07984 519425 to order by the end of Friday 29th March. Portions each serve two people and cost £5 for meat curries and £3.50 for vegetable curries. AND on 5 April there’s a FREE Easter Egg hunt from 2pm to 3pm for children aged 12 and under. Kids have to be accompanied by an adult and booked into the event. All those interested should book their places before 29th March (Good Friday) by contacting Nick Gibson on Nick.Gibson@pinnacle-psg.com or ringing him on 0203 664 1008. Remember you have to book into the event before your child can take part! Have a very happy Easter. Opening hours after Easter and for the whole summer will be 10.30am to 5pm on Friday, Saturday and Sunday. Categories: Community, Events, Young people | Tags: Easter, entertainment, food, myatts fields | Permalink.